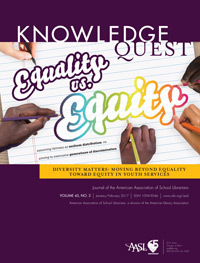 This issue of KQ offers insight, resources, and instructional strategies for affirming diversity and equity literacy in the youth-oriented library spaces. It comes at a critical juncture in America’s sociopolitical climate, where the rhetoric of the 2016 election has engendered fear and reinforced negative stereotypes among historically underrepresented groups (e.g., Mexican Americans, Muslim Americans, immigrants, African Americans). Immediately following the 2016 election, Teaching Tolerance administered an online survey to K–12 educators across the country. Over 10,000 teachers, counselors, administrators and others who work in schools responded. Ninety percent of educators who responded reported that the climate in their schools had been negatively affected and most of them believed the impact would be long-lasting. Regardless of your political affiliation, as the report notes, “the dynamics and incidents these educators reported are nothing short of a crisis and should be treated as such” (p. 5). The library profession has a long history of responding to social issues and this issue along with other resources by YALSA such as the post-election wiki serve as examples our continued commitment to response. The focus of this issue of KQ goes beyond the current sociopolitical climate, and the articles included provide readers with suggestions for how to better support their diverse communities not only today, but also into the future. The issues it explores are broad ranging for developing culturally responsive library programs to understanding the issues involved in evaluating diverse youth literature. Readers interested in learning generative ideas for thinking about issues of diversity and equity literacy among youth of color can look to our feature article that applies multiple shifting lenses for considering youth identity and literacies. Debbie Reese’s piece gives voice to the critical lens Native people and people of color are more regularly bringing to the analysis of children’s and young adult literature and the impact of these recent developments in the publishing industry. For a view from the field, Julia Stiver’s article outlines a library literacy-based program featuring award-winning author Matt de la Pena. Similarly, Theresa Bunner’s’ article foregrounds student voice while describing culturally responsive teaching strategies that speak directly to the racial and cultural issues of the day. 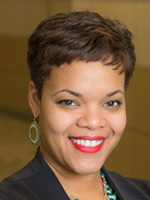 With the rigor of research, Crystle Martin’s article brings the idea of equity literacy into the realm of technology by demonstrating the role libraries can play in cultivating STEM-related skills among youth who have been underrepresented in computer science jobs. STEM learning is also the focus of the article by Cassandra Kvenild, Shannon Smith, Craig Shepherd, and Emma Thielk. Finally, Nicole Cooke and Renee F. Hill provide an annotated resource list to help youth services professionals become better informed about how to effectively serve diverse patrons. Taken together, this issue is a timely read for anyone concerned about creating more just schools and libraries for youth. Kafi D. Kumasi is an associate professor of library and information science (LIS) at Wayne State University, Detroit, Michigan, where she teaches in the areas of school library media, urban librarianship, multicultural services and resources, and research methods. A Laura Bush 21st Century scholar, she holds a PhD from Indiana University, Bloomington, and a master’s degree in LIS from Wayne State. Her research interests revolve around issues of literacy, equity, and diversity, particularly in urban educational environments spanning K–12 and graduate school contexts. She has received numerous awards, including the University of Michigan’s National Center for Institutional Diversity “Exemplary Diversity Scholar Citation” and the Association for Library and Information Science’s 2011 Best Conference Paper Award. 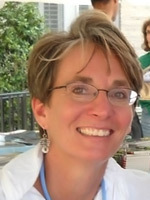 Her work has been published in numerous journals including (among others) Library and Information Science Research, Journal of Education for Library and Information Science, Journal of Research on Libraries and Young Adults, School Libraries Worldwide, School Library Research, and Urban Library Journal. Her service commitments are extensive, ranging from editorial board member of Library Quarterly journal to mentor for Project Lilead, an Institute of Museum and Library Services grant-funded project aimed at studying, supporting, and building community among school library supervisors. Sandra Hughes-Hassell, PhD, is a professor in the School of Information and Library Science at the University of North Carolina at Chapel Hill and is president-elect of the Young Adult Library Services Association. Her research focuses on social justice issues in youth library services, diverse youth literature, and the role of school librarians in education reform. Her latest book Libraries, Literacy, and African American Youth: Research and Practice (Libraries Unlimited 2017), coedited with Pauletta Brown Bracy and Casey H. Rawson, serves as a call to action for the library community to address the literacy and life outcome gaps impacting Black youth. With funding from an Institute of Museum and Library Services grant, she and her team are currently developing a comprehensive research-based professional development curriculum that focuses on cultural competence, culturally relevant pedagogy, and equity literacy. To learn more visit http://projectready.web.unc.edu. She served on the AASL Underserved Student Population Task Force and currently serves on the School Library Research Editorial Board.